We develop and implement web applications that make management, operation and promoting your business much easier. Whatever your company's needs are, we will develop the right solution. "It all starts with the eye," Aristotle. Corporate image has to be consistent and based on an inter-woven system of visual identification. Too many websites are just virtual business cards. We create websites who are also your best salesman. 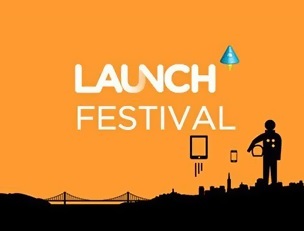 Launch Festival invites HNR Systems for the biggest start-up event. Another exciting news for HNR Systems as our company has been invited for the Launch Festival in San Francisco, March 2-4. It is considered to be the best place for startups and turning ideas into reality. 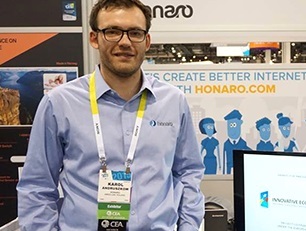 Summary of HNR Systems on CES 2015 in one word: Great success. Consumer Electronics Show has surpassed all our expectation. All the feedback recieved from people contacted has been positive. Many new created opportunities and it's up to the team of HNR Systems to decide which direction to move forward. Have questions about an order and pricing? Want to join our team?